How to rank your small business website higher on Google is probably the most frequent question our team get asked on a weekly basis. Why? Well it’s probably because Google receives a whopping 3.5 billion searches every single day and this statistic is growing year on year. The trouble is that Google changes the way websites are ranked on a fairly regular basis and local business websites are ranked differently to large national company websites. What worked to rank your old website may not work or even be a Google ranking factor anymore. The days of buying a domain name with your keywords in (e.g. www.plumbersinlondon.co.uk) are long gone. Quality content and helping your audience solve their problems or search queries is priority in Google’s eyes. It takes time, patience and maybe some financial investment if you aren’t confident in doing it yourself. We have helped over 250+ small business owners with ranking their websites on Google. All of our website packages come with Google ranking (SEO) services. If you would like our team to complete a free analysis on your website and how Google friendly it is then feel free to contact us. How to rank your small business website higher on Google? Google has specifically said that if your website isn’t mobile friendly (also known as responsive) then you will not be favoured to other websites which are. 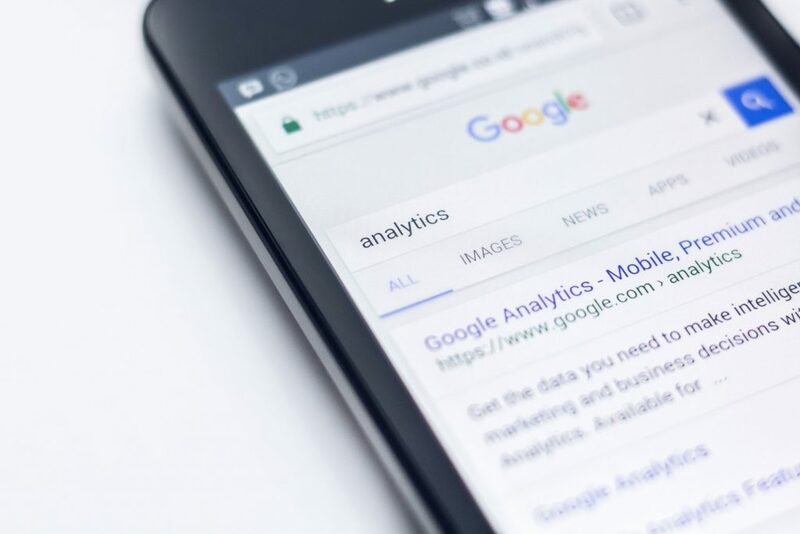 A large proportion of Google searches, 1.2 billion per day, are now made on mobile phones so ensuring your business is visible to the ever growing mobile user base is critically important for ranking your small business website on Google. Not sure if you’re website is mobile friendly? Contact us and get our team check for you. TIP: 70% of mobile searches on Google led to an action within 1 hour so you NEED to make sure your website is optimised to give people a clear call to action. Tell your visitors exactly what you want them to do. If you’re a builder and you want people to ask you to complete quotes for extensions in your local area, then tell them. The days of stuffing “plumbers London” “plumbers London” “plumbers London” anywhere and everywhere on your website are over. Google is much more focused on helping their users and given them the best possible experience. As a result, in our teams opinion, you need to make sure you write anywhere between 500-1000 words per page and carefully place your keywords within the content. But MAKE SURE it flows naturally and doesn’t come across like spam or you will be penalised. TIP: Make sure you focus on long tail keywords just as much as your exact keywords. Ensure each page on your small business website is designed and written to solve a specific problem or search quiery. This point applies especially for small businesses targeting local customers. Around 50% of local searches made (e.g. “builders in Surrey”) result in actual real life actions being made. The majority of searches people make when looking for a business are local. Why would a person living in Surrey only type in “builders” into Google? Exactly. They wouldn’t. Statistics aren’t the only reason why you need to get on Google MyBusiness and local listings. Typically there is less competition on Google for smaller local areas. Even if there are quite a few similar businesses to yours on Google you shouldn’t worry because I guarantee 50% of those websites are not optimised properly and therefore will be easier to rank higher on Google. How can you do this? Make sure your business is listed on Google MyBusiness (you can sign up for free). This will help your business appear in the local listings. If you spend a bit of time making sure your profile is up to date and packed with useful information about your business you should be able to rank (within Google places) within a week or two. TIP: Signing up to directories, such as Yell and Thompson Local, can help Google recognise your business provides a certain service is a specific area. We touched on this point briefly above. You need to make sure your website has 500-1000 words minimum per page for Google to actually respect your website over local competition. This DOES NOT mean that you should just write a load of recycled rubbish just to fill the page out because this will get you penalised. Focus on good quality content that helps your website visitor. Struggling to come up with lots of content? Don’t worry. I find creating good quality content hard. It takes time and a little know how to create great content that Google will respect and like. Whenever I get stuck all I think is what exactly am I trying to help the user solve? If I’m doing a 3-5 page website for a small electrical company in a town I start thinking of potential questions people might search. Write out 10 frequently asked questions you receive and then try and tailor your content around answering these questions with USEFUL and HELPFUL content. TIP: Make sure you’re page isn’t just filled up with endless paragraphs of boring text. This will tempt visitors into going elsewhere because people are lazy and can’t be bothered to read pages and pages of information just to find something out (especially if they are just looking for a local business / service quickly). This is a MUST HAVE for any type of business. Social media is vital for understanding how to rank your small business website higher on Google. Google can now tell how popular your brand / business is using social signals. It can tell exactly how many likes, comments and shares your posts have and will use these ‘social triggers’ to rank your website accordingly. The main social media platforms you need to get your small business are Facebook, Twitter, Instagram, YouTube, Google Plus (not exactly the same) and potentially Snapchat (business dependant). The more followers, posts, comments and likes you have will help boost your Google ranking. Try focusing on this for 12 months and you’ll see results. This is also a great way to instantly get local leads for your small business. Finding out what people are searching in your local area is easy enough with the free Google Adwords keyword tool. From here you can find out potential key phrases people are searching in your local area. Once you have found a list of 8-10 key phrases that receive a sufficient amount of monthly searches you can then start optimising your website content and pages around them. TIP: The higher amount of monthly searches for any given search term usually results in higher competition. As mentioned above try and find out long tail keywords. For example, instead of “mechanic in Brighton” you could go way more precise and try to target “mobile mechanic in Brighton and Hove”. There is an easy solution to get your small business ranked high on Google (unless your pay for it through PPC advertising). I hope this short list of SEO tips helps you figure out how to rank your small business website higher on Google. There are over 50 factors that have proven themselves to help rank websites higher on Google, but the points we have listed above are extremely easy and free for any small business owner with a low budget to set up. If you would like anymore help with Google ranking or small business websites then our team will be more than happy to help.